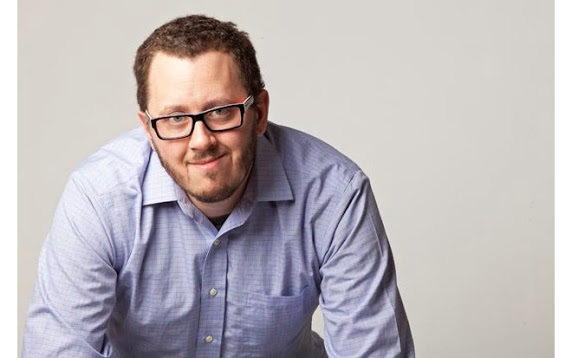 Today on Conversations Between Writers I talk to Jeremy Zimmerman [website, Twitter] (no relation, though we joke) about the second book in his YA superhero series Kensei: For The Love Of Danger that he’s currently Kickstartering part of the cost of publishing. Jeremy along with his lovely wife Dawn Vogel are also the evil geniuses behind Mad Scientist Journal. I was lucky enough to get to Beta-read this ambitious novel (Kensei takes place in the shared superhero world of Cobalt City and I have a Cobalt City character who happens to be Kensei’s roller derby coach. Jeremy always checks with me to make sure he’s treating my character with respect.) and I really enjoyed it. It’s a super fun read with a lot going on. I hope you’ll consider backing it. Minerva Zimmerman: So you’re heading back onto the streets of Cobalt City once again with Kensei: For The Love Of Danger. Why don’t you tell us a little bit about that? Jeremy Zimmerman: I’ve been working on my sequel to my first book, Kensei, and have a Kickstarter going to pay for some of the production costs. The sequel brings back the titular Kensei, who finds herself having to deal with a lot of legacies. Not only do her grandparents learn about her crimefighting and have something to say about it, but there’s also a World War Two supervillain who has come back from the dead in order to kill Kensei. MZ: Yikes! So what challenges did you have in writing about a teenage superhero whose crime-fighting isn’t a secret from her family and in fact is complicated by her family? JZ: Some of it was just fitting it with what had already been established. When I first created the character, she had no idea that her family also had a history with superheroes. It’s been a careful line to walk in order to make it plausible that it was kept from Jamie. Plus Jamie is half Japanese and have African American. Treating her family’s dual backgrounds with respect required a lot of research. MZ: Do you have a favorite part of doing the research for this book? JZ: Do I have to choose just one? JZ: Starting with Jamie’s family, one of my favorite parts was researching for her father’s parents. When I was working on the first book, I learned about differences between Japanese Americans who had lived in the continental United States and those that had lived in Hawaii. Living in Seattle, which has a notable Japanese American population, you learn a lot about the Japanese American experience. This is especially true when it comes to learning about how they were treated during World War Two. But in Hawaii, the experience was very different. My other favorite research was for the villain, Imperial Dynamo. I collaborated with an Italian-born friend of mine who is also a history buff. She introduced me to the Italian Futurist art movement, which later fed into the Fascist Party in Italy. It added a really interesting dimension to the villain. MZ: Wow it seems like you’ve got a lot of threads running through this book. What do you want people to know about that might pique their interest? JZ: The core idea I’m playing with in the book is that of family expectations. Both Kensei and her friends have families and legacies that are pushing them in different directions. Aside from the more physical conflicts, a lot of Kensei’s emotional conflict is trying to cope with what her family wants while remaining true to herself. MZ: I think that’s something we all can relate to. So you’re Kickstartering some of the costs of publishing this book. Can you talk a little about the decision to go that route? I know I’m always interested in hearing why people choose one option over others. JZ: I had debated for a while about whether or not to do a Kickstarter for this. Early on I thought I might focus my crowdfunding efforts through Patreon. But it seems like Patreon seems to work best only if you already have a sizable fan base. It also doesn’t work as well if you are mostly doing large projects. And the money it brings in mostly supports my other baby, Mad Scientist Journal. Kickstarter has the advantage of helping make the project more visible to people. It also gives me the chance to offer some fun things to backers that I don’t have much excuse to on other occasions. So I’ve gotten to commission stickers and patches for backers. If it does really well, then it gives me the opportunity to create something a bit more robust. One of my current stretch goals is a limited hardcover edition of the book, which I would have trouble justifying under normal circumstances. MZ: The stickers are ADORABLE! JZ: Thank you! We are really happy with the artist we found. She’s been great to work with. MZ: I am a sticker hoarder so stickers are always an amazing perk for me. 🙂 I recently bought an RV I’m using as a writing office, and I’m pondering what stickers to stick on it right now. JZ: Good to know. When we came up with some of this, there’s always the worry that what sounds awesome to us might not sound awesome to other people. I’m glad the stickers are a winning point. JZ: One of the stretch goals is to have more characters for the stickers. We could see about working in Cleopatra Thunder. MZ: *giggles evilly* So what else are you working on these days? I know this book and getting the KS set up have eaten up a lot of your time, but you’re a person of many hats and many projects. JZ: We’ve been working on the anthology we Kickstarted earlier this year, Selfies from the End of the World. I just sent out the ebook proofs to the contributors to have some extra eyes on it. I’ve been doing a lot of research for an overly ambitious series of YA books I want to do beyond Kensei. Mad Scientist Journal is always on my plate. And I’m getting ready to run some games later this year at a local convention. MZ: Oh cool, what convention? JZ: AmberCon Northwest, down in Troutdale, Oregon. Four days of roleplaying games in the middle of a winery/brewery/distillery/resort/spa. MZ: Oh wow. I always thought that was somewhere in Washington for some reason. That sounds fabulous. JZ: It is. I’ve been going every year since 1999. It’s a small and intimate convention, and just a ton of fun. MZ: Are you going to make it to WorldCon or is your schedule just too full up? JZ: Our schedule is sadly too full up and our vacation time is spread too thin. MZ: Yeah, it’s always a balancing act. I had to cut out a bunch of other cons this year to go. Is there anything we didn’t touch on that you’d like to talk about? JZ: Well, I could babble forever about things I learned during my research. But in terms of things people would be interested in, I’m offering the ebook for my first book for free through the Kickstarter. There’s a link [edit: THIS LINK] where you can download the files right there. You don’t have to pledge a token amount or use a coupon code or anything. I feel really passionate about the work I’ve done developing Kensei, and this is a low commitment chance to see if you like her story before committing money to the cause. MZ: That’s really smart. I somehow missed that reading over the KS. Well, I should probably run and get something to eat. But it was great talking to you and break a leg (preferably someone villainous) on the Kickstarter! JZ: Likewise, and thank you for taking the time to talk! Keffy is one of my most favorite people in the world. He’s brilliant, kind, funny, and clones things in labs. 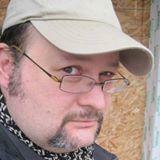 He’s also a speculative fiction writer and is currently fundraising GlitterShip an LGBTQ SF&F fiction podcast. You can find out more about Keffy at http://www.keffy.com/ and follow him on Twitter. You can support GlitterShip at Kickstarter, check out the website, or follow them on Twitter. Minerva Zimmerman: How are you doing? I missed you at Rainforest this year! Keffy Kehrli: I’m doing ok. Things have been kind of up and down for the past few months, though. MZ: It seems like you’ve got a bit of a bidding war going as far as grad school positions. You’ve been on the road more than home recently. KK: Well, bidding war is kind of inaccurate, but I do have more than one acceptance, so I’m going to have to disappoint at least one school when I make my final decision. Everyone has an April 15 deadline for that, though, so I should know by some time next week where I’m headed in August. MZ: That’s still pretty cool. Scary. Exciting. But different. KK: Not *too* different. I’ve been working in a lab for the past five years, so I suspect that the PhD programs will be fairly similar to what I’ve been doing. Research most of the day with occasional classes. MZ: I’m jealous though. I feel a bit like I missed out on grad school. I’d really like to do more research and analysis work, but it feels like I’m pretty settled at this point. KK: If you could go, what degree would you go for? MZ: Cultural Anthropology focusing on Religion in the United States, pretty much an extension of my BA focus. MZ: Kind of a weird focus, but I find it interesting. Lots of revival culture, conservative politics, superstitions, magic, you name it. It’s pretty weird, because doing field research in the rural area where I live would be pretty much perfect… but there’s no way to do it and still live here afterward. Even if I used pseudonyms for everyone I’d have to include enough personal information about them that anyone who actually lives here would be able to figure out identities. MZ: So, I content myself with working at the museum and writing fiction. It works out better. Less torches and pitchforks. Can you tell me about any of the potential projects you’d be going into with grad school? KK: I don’t really know exactly, yet. I want to focus on genomics, and I’m really interested in bioinformatics and/or non-coding DNA/RNA, but the exact projects will depend on which advisor I end up with. Luckily, most schools have “lab rotations” for PhD programs (at least in the biological sciences or genetics), so I should be able to try out working in a lab or three before I make my “final” decision. Then you’re pretty much set once you decide who you want to work with until the PhD is done. MZ: yeah, personalities of the people you’ll be working with are important to feel out. I am pretty ignorant of a lot of the research in those fields. I’ve been interested in the nanobot cells that are delivering medicines and such. Also a little bit of some of the stem cell advancements, but other than that I know I’m terribly ignorant of some really amazing science. What’s caught your attention and perhaps your imagination as a writer? KK: What’s funny for me is that my science work doesn’t really drive my science fiction much at all. I feel like the more I learn, the more I realize why most of my science fictional ideas are kind of ridiculous. So a lot of what makes us different has to do with when and where our genes turn on or off. Some of that is regulated by the “non-coding” parts of the DNA. More the coding than the building blocks? KK: Some of it is also regulated by “epigenetic markers” which are like little chemical chunks that attach to DNA or the proteins associated with DNA. MZ: Which we might be able to trigger to treat certain conditions or symptoms? There is a ton of research devoted to the question you asked, though. KK: If you look up, like, “personal medicine” or “personal genomics” and stuff like that. MZ: Remind me not to play you at pool for money. KK: The more I learn about what happens in cells, even bacteria and archaea, the more I’m surprised anything is even alive. oh! living things and panic buttons, yes. So, part of the reason that living cells are so complicated is that things go wrong. I mean, constantly. Plus, living things are always in flux from generation to generation — from mutations, gene shuffling, sexual reproduction, you name it. MZ: Yeah that’s the “hey if we can turn this off, we can all not age” thing about cells. KK: The problem with that is that’s basically how you get cancer. KK: Prions creep me out. They’re basically just misfolded proteins, and then other proteins get misfolded the same way, and parts break off and “infect” the other proteins. KK: Oh… well, this isn’t *quite* like that, because the amino acid sequence won’t change. But they kind of bend in the wrong way and get stuck. Protein folding is one of the interesting structural questions in biology. It’s extremely hard to predict how proteins will fold just based on their sequences. But yeah. Things go wrong in living things, so there are tons of “back up plans”. KK: Is that a game thing, or just a “we need computing power” thing? MZ: Yeah, it’s a program like that, you run on your computer when you’re not using it. KK: Oh, that’s pretty cool. KK: There are actually a lot of “help science at home” things that I’ve been noticing. Like, there’s Galaxy Zoo, where they train you to look at pictures of galaxies and then help classify them into types of galaxies. So you’re Kickstarting a really awesome podcast. Can you talk a little about what it is and why you’re doing this? I know you’ve been talking about doing this for awhile so I’m excited about it. 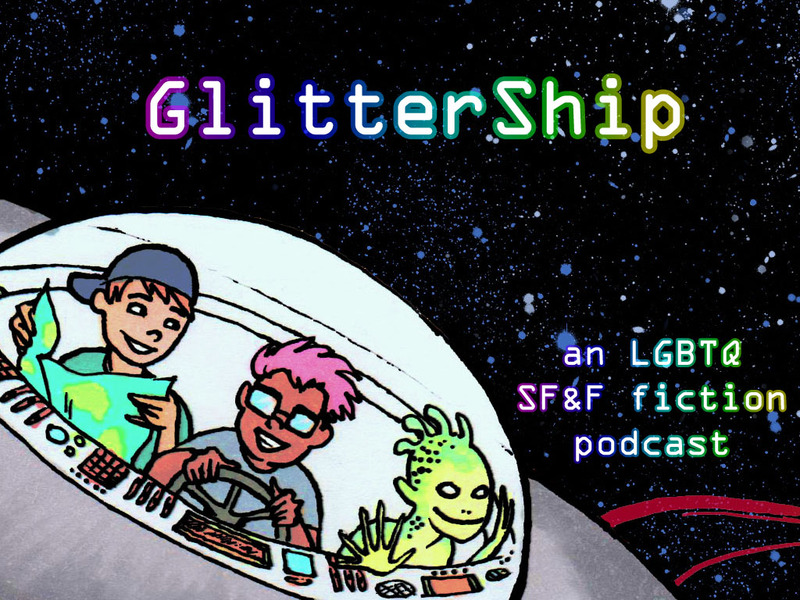 KK: GlitterShip came out of my desire to make an ongoing LGBTQ-focused SF/F magazine. I had initially shelved these plans last year when Vitality (an LGBTQ zine) was initially running their own Kickstarter. I think they’re planning on being ongoing and are going to run another fundraiser for their second issue some time soon. I’ve also wanted to do a podcast for a while but could never think of a good topic. I figure that after watching the nonsense I tweet constantly, there’s unlikely to be anyone interested in listening to me ramble for an hour a week or month or whatever. But then I decided, hey, why not combine the two. Although I think it will be great for people who write LGBTQ SF/F to have another place to send their reprints, I’m not really doing it for writers so much as I am for readers. Sometimes when I’m at conventions, I’ll have people ask me for recommendations of places to go for LGBTQ fiction, and I find that it’s hard to know where to point them. MZ: I just started looking into reprint markets myself, and there just aren’t as many as I thought there were. KK: It depends on the story and what you’re looking for. But, yeah, reprints are usually a bonus, and a lot of them tend to be in one-off anthologies, which are only sometimes open for submissions. MZ: I’m particularly excited when I find LGBTQ fantasy. KK: But yeah, I mostly just wanted to make something where those readers could go and access great SF/F stories with queer content without having to scatter around chasing down disparate recommendations. KK: Well, it’s still possible to use all of the old tropes and just genderflip a character or whatever, but yeah. Some stories have “incidental” diversity, some are entirely about the ways in which the characters are “other” and many are somewhere in between. I can have one where it’s just a fantasy story, but maybe the dude protagonist has a boyfriend or husband instead. And then another week, a story that’s essentially about what it’s like to be queer in the world of today (or the past, or maybe the future). None of the GlitterShip stories will ever have to stand alone as The gay story in the issue or The lesbian story in the issue. KK: It’s getting to be less of an issue since as far as I know all of the major magazines in SF/F are open to and publish some LGBTQ fiction from time to time. But I do think that stories can end up with the “token” problem just like characters can. MZ: Still, there’s a lot of importance in going to somewhere you know is going to have it every time. KK: Whenever a character is the only queer character or a story is one of a few queer stories, they end up having to shoulder more weight, so to speak. They become more of a stand-in for the whole group. Yeah, I also think it will be nice for readers who are specifically looking for this stuff that they know they’ll get it from GlitterShip. Even if that’s just the few people who have asked me about it when I’m on panels at cons. MZ: I know several years ago I came to the realization I most often wrote what I had read the most of, which was cis straight white male POV. Which, is kind of super weird to realize since I am not that myself. KK: That’s an issue for a lot of writers. MZ: but it took a conscious effort for me to decide that my characters and my worlds needed to be AT LEAST as diverse as my own life and the people in it. KK: I think it happens for the same reason that early fiction tends to lean fairly heavily on tropes. When people are just working out how to write their own stories, they unconsciously pick one or two things that they’re going to focus on, and just take the rest for granted. And unfortunately, due to the way that straight, white, cis male stories are the “default” a lot of writers will write about those characters without realizing that they’re doing that. KK: I used primarily British spellings when I was 16. One of my early pretentious things. So embarrassing. Ack we got off track again. Where can people submit stories and how can they support GlitterShip? Right now, I’m only open to reprints between 100 and 6000 words long. By “reprint” I just mean that it’s been previously published … anywhere. It doesn’t have to be a “pro paying” market or anything. To support GlitterShip, check out the Kickstarter campaign at https://www.kickstarter.com/projects/keffy/glittership-an-lgbtq-science-fiction-and-fantasy-p which will end sometime during the day on April 8th. The backer rewards include a collected ebook of all the stories that come out in the first year, and some of the higher tiers will involve me knitting scarves and such for people. Right now we’re at about $3,300, which means that we’re beyond fully funded and are less than $300 from the next stretch goal, which is 4 episodes a month instead of 2. I want you to make it, not just make it, but blast right on past that goal. I can’t wait to have you talking in my car to me as I drive to work. 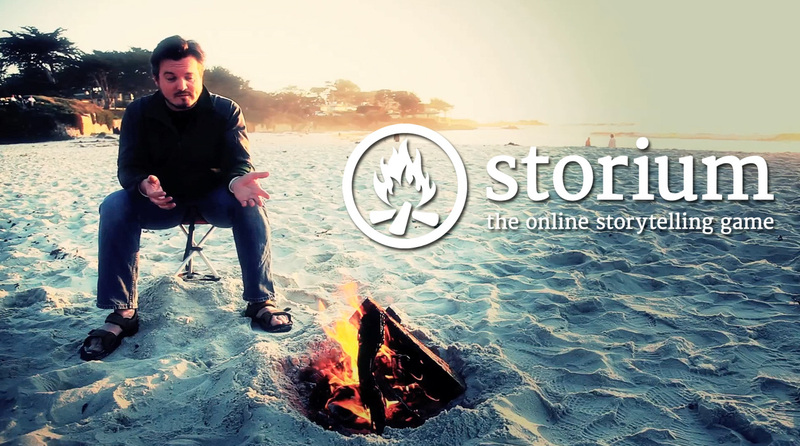 Today I’m talking with Stephen Hood Co-founder of Storium. For those unfamiliar, Storium is a sort of role playing storytelling platform, part game, part fiction writing. If that sounds at all interesting to you I strongly recommend you check it out at https://storium.com/ and you can follow Stephen on Twitter. Minerva Zimmerman: So you just got back from GDC what, a few days ago? MZ: I just returned from Rainforest Writers Retreat last night where I finished edits on a project. So while I’m not GDC tired, I’m still trying to remember what way “up” is 🙂 Was this your first GDC? MZ: I love Storium. I’m a little at a loss to describe it to people sometimes though. How did you describe it for the GDC crowd? SH: It’s definitely a bit hard to classify, which has always been both our secret weapon and our curse. Generally, I tell people that “Storium turns creative writing into a multiplayer online game.” That’s usually enough to either catch their interest and set the gears turning, or send them into full-on glazed-over mode. And, you know, it’s really best for everyone that we get to that fork in the conversational road as quickly as possible, heh. MZ: That’s true, either that interests you or it doesn’t. I admit I’m getting impatient for Storium to open up to general players because I have people I want to indoctrinate in a few on-going stories. BTW, as an existing player you can invite anyone you like. You just start a game and invite them using their email address. MZ: Ooo hmmm. I might have to do that. I have several stories that have stalled out that could probably be jumpstarted with new blood. MZ: It’s interesting because it’s a game, but it’s also a storytelling platform but with nearly instantaneous repercussions and feedback. So as someone who writes otherwise, it’s interesting to see when I do and don’t want to work on Storium scenes, because it is Fun Writing and not Work Writing. SH: I’m glad you think of it as “fun writing!” That’s the goal, for sure. We’re using the context of gaming to lower people’s inhibitions, raise their confidence, and get them to write. Not to write something perfect, but just to write. Everything that happens in Storium is about helping people express themselves through play, and to keep doing it. MZ: I used to have other writers that we’d do email Round Robin stories, where someone would start a story and then email it on to the next person who would continue it and pass it back. It was always an exercise in how much of a problem you could give the other person without actually killing the story. Sometimes Storium feels like that. Sometimes you are just feeding off the collaborative process and you’ll lose a whole day writing scenes. SH: Absolutely. Friction is important in so many things. Even outside of writing. Much of Storium evolved out of a good deal of friction within our team around design philosophy, goals, and so forth. It would have turned out much weaker without that conflict. I think it’s just a question of what you incentivize for players/writers. If the game itself is structured around competition, I fear that you end up incentivizing players to undercut each other. But the alternative shouldn’t be a conflict-free environment, for sure. MZ: Do you think having a lack of defined incentive for players inside the greater Storium system outside each individual story is a feature or something that you struggle with? Or do you even agree that’s the case? SH: Not sure I follow you? MZ: So in a dungeon crawl, you’re collecting gold and loot. In Storium you’re telling a story through an individual character’s actions. However, outside of each individual story is there incentive for players within Storium? SH: That right there was one of the original inspirations. I missed playing tabletop games with my old high school friends, who had scattered to the corners of the Earth, had families, lived in different timezones, etc. I missed the creative outlet and wanted to recapture it somehow. So I built a simple prototype and unleashed it on my friends. I knew there was no way we would be able to play at the same time, so it needed to be text-based and asynchronous. It needed to not depend on a certain order of taking turns, since that would enable any single player to hold up the whole thing. And I wanted it to have just enough of that tabletop feel to trigger the muscle memory without bogging us down in complex rules that would slow down play. That prototype was fun but had a number of problems. I kept coming back to it, though. Kept working on it, evolving it. Over time I began to realize that what was really interesting here was the writing — the sheer creative freedom that it was making possible. And that the “rules,” such as they were, were really about making that writing possible, and fun. I started building a team of allies, people who would help me broaden my perspective by adding expertise to the mix in areas like game design, writing, engineering. 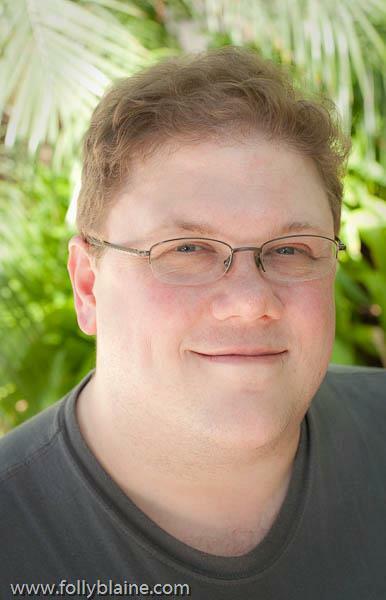 Will Hindmarch was an early ally and advisor, and he had a huge impact on our thinking and on the design of Storium. Getting Will involved was a major turning point. Will totally got that Storium was sitting at the intersection of fiction and gaming, and what that could mean. I think he sits at that intersection, himself. SH: Heh, I have a feeling that the first Storium novella or novel is not far away. It’s not clear yet how you would take a Storium story and publish it. What does that even look like? Is it a cross between a screenplay and a blog post? Or it could just be that the game serves as source material, and the author or authors adapt it to a more traditional form. Sort of like how Peter Adkison’s “The Devil Walks In Salem” is a film adapted from a Fiasco play session. SH: A key question for me is: do the cards have relevance to the finished story, or just as components of play? Like, once you extract the narrative from the context of Storium, do you need to know what cards inspired each scene and move, or does the written fiction capture it all. I’m honestly not sure what the answer is, and that’s exciting. MZ: Or maybe it’s going to be a card game with stories. It’s hard to know. MZ: This was your first GDC, what did you think? What surprised you about interacting with gaming developers and other professionals? How did people react to Storium? SH: It was a fascinating experience. I’m of two minds. On the one hand, I had a fantastic time meeting other professionals. I gave one of the opening talks, as part of the Narrative Summit, and I was sort of stunned by the response. I’ve given a number of talks over the years but I’ve never had so many people show up for Q&A, or even track me down even days later. I wouldn’t claim it was because I was unusually awesome or anything; I think it was more a function of the people in attendance, and their interest level. These are people who love games, who love making games, who love thinking about games. They are hungry for ideas. Sadly, you don’t feel that as much in many other industry conferences. So that part was great. On the other hand, as I looked at the sessions and the expo floor, I didn’t really see a place where Storium obviously fit in. Let’s just say our polygon count is too low. What we’re doing is sort of alien to most of the people and companies in attendance. That doesn’t phase me at all; rather, it’s motivating and exciting. But it did make the week slightly surreal. Happily, whenever I had the chance to explain Storium to people, the responses were almost universally positive. People got that it was different from everything around them, which was fun. SH: After the third or fourth pitch for 3D rendering farms or visual asset management systems, I started proactively telling people, “sorry, my game is about words.” Heh. SH: You are history’s greatest monster. SH: A lot of my GDC talk was about questioning our reliance on simulation in our video games. It’s what we put most of the computing power into. And yet the more we do that, the less flexibility we have as storytellers. I don’t see that going away, but I do hope we see more games in the future that rely on it less. MZ: There’s already been some pushback on very high-tech games that are basically on a rail and more of a movie experience than a player experience. They’re still neat. But are they really “games”? SH: Hey, I still love Rebel Assault. I think there’s a place for just about everything in this world. But we need more variety than we’re getting these days from the major studios, IMO. MZ: Yes, exactly. Maybe a better way for labeling products so people can find the things that they love, but not less of anything. I feel conflicted about saying “labeling” though I hate labels, and don’t really like using them… but I think a lot of anger and disappointment is caused by people going into something thinking it is one thing and finding it is something they know they already dislike. SH: I hear you. It’s an old problem, and not just in games. I used to work on del.icio.us, so I’m partial to community tagging as a possible solution. But even that has downsides. MZ: But then there’s the argument about shouldn’t you be challenging people? Shouldn’t you make them take a bite of pancakes even if they say they hate them? I’m not sure there’s a solution… but I think the discussion is important. Is there anything on your mind either out of GDC or anything else you want to talk about? SH: I was pretty pleased to see that the GG crowd seemed to find little purchase at GDC. Quite the contrary, in fact. I got the sense that most people who are actually in the industry find the whole thing abhorrent. MZ: Yeah, I have to say that’s been largely true for as long as I’ve known any designers and others working professionally in the industry. It isn’t the makers of games who are purposefully creating that kind of culture. MZ: it’s more the, “Well, we didn’t mean for that to happen and it really isn’t our FAULT” stuff that has to change. We should probably wrap this up. Any last thoughts? SH: I don’t think so? This was a lot of fun. Thanks for the great questions and conversation. It’s nice to make your acquaintance. thanks for interviewing me! SH: thanks for saying so, and thanks for playing! Tracy is the author of the novel Iron Edda: Sveidsdottir, writer/designer of the RPGs such as School Daze, and Iron Edda: War of Metal and Bone. He is one of the minds behind Exploding Rogue Studios. You can follow him on Twitter as @TheOtherTracy. MZ: Hey, how’s it going? Are you in the frozen wastelands or somewhere warmer? Tracy Barnett: It just got pretty frozen here in Ohio. We had a little, uh, warm snap, I guess? But we’re back to mid-20s with windchill. Unfun. TB: Yeah, we’ve gotten nowhere near that level of snowfall. MZ: I can’t even comprehend that much snow. I’ve always lived on the West Coast, and you don’t have to shovel rain. TB: I was born here in Ohio, and I have to have some snow in the winter, or things just don’t feel right to me. I need the seasonal change. It signals transition, and that’s important to me. MZ: Yeah we’ve sort of… skipped? winter this year. It’s weird. There are geese flying north, frogs singing at night, and flowers blooming. In February! TB: I’ve had winters like that. We’re all still expecting a big freeze and accompanying snow. Dunno if it’ll hit, though. MZ: Yeah I keep expecting something to hit here and kill off everything that has woken up early. You’re a bit of a Jack of all Writing, you’ve got a huge amount of projects going. What is most on your mind right now? TB: Heh, I guess that depends on the day. I’m getting close to wrapping up the writing for Karthun (current RPG project). I’ve also got a novel in the works, and I’m at the revision stage, to get to the second draft. And there’s a weird thing where even though I want to finish those things, I also want the energy and juice of working on a new idea. Plus, I do regular writing for my Patreon… so yeah. Depends on the day. MZ: That new idea energy is almost like a drug for me. TB: It so is. I get it when I go to conventions, but I get to use to to help me get current projects done. But the thrill of getting a new idea and seeing it through the first draft.. it’s amazing. TB: Yeah. I’ve come to accept that revisions are a necessary part of writing. No draft is going to spring fully formed from my forehead. I’m hoping to start to learn to enjoy that part of the process, too. MZ: what’s the story behind Exploding Rogue as a name? It is very evocative in the best way, but I was wondering if there’s a specific incident behind it? TB: We wanted to try and come up with a name we could brand and get behind. The name popped into my head one day and I floated it past Brian. He dug it, and drew some concepts for logos. The more we saw it, the more we liked it. Plus, it’s hell of fun to tweet as the Exploding Rogue. He’s the worst rogue ever. MZ: I mean, who hasn’t had a party where there was a rogue explosion at some point? TB: Truth! I wish there was a more compelling story behind it, but we really just needed to find something we could both get behind. TB: Yeah, the rogue’s either gonna disable the trap or get turned to paste. But then you need to get another rogue. TB: Unless the rogue is really just projecting an illusion of themselves…Yeah, that’s getting too complicated. Now, personally I find RPG writing and fiction writing to be very different. How does it shake out for you? TB: They’re extremely different, but I think that writing RPGs in a conversational tone makes them more similar. RPGs give the framework for stories that groups will tell. You want to give information and hooks for a group to use. MZ: I think for me, it’s that for fiction I’m very much a pantser up to a point, and you just can’t do that for RPG stuff. You have to plan it out more ahead of time. TB: For fiction, you’re in charge of the whole story, tip to tail. For me, it’s almost like I set up the RPG hooks, then write the adventure group that is the cast of characters. For RPGs, I have to think about what I’d like to see in a product I’d pick up from a store, how I’d want to use it. Then I have to deliver that to the highest level I can. And yeah, for fiction, I’m a pantser. No way I could outline a novel ahead of writing it. Not yet, anyway. TB: Yep. I’m only on my second-ever novel, so it’s still new to me. I can tell you that my WIP has a much more fully formed shape in my mind. I have a sense of where I want it to go, and the revisions will help get me there. Like a mental outline. MZ: I’m writing my.. 6th? Depending on how you count stuff. And this is the first one that isn’t overly long. TB: What’s the wordcount on not overly long? TB: My first draft of my WIP hit 65k. Hoping for 75k by the end. TB: Yeeahhh! That’s way long for me. MZ: …which is also why they aren’t published. I couldn’t write clean enough. TB: I’m pretty sure that my first novel, Sveidsdottir, should have been longer. But it was near-torturous to write. MZ: though it turns out you can take a 140k manuscript that was written in 3 acts and cut and expand to make it 3 novels. So, I’m learning. Why torturous? TB: 1: First novel, and no idea what I was doing. 2: Unintentionally really wrote what I knew. Meaning, the protagonist has a lot of my worst qualities, her wife has a lot of qualities of my ex-wife, and I predicted my divorce through the plot arc of the novel. MZ: Yowch. Brains man… they sneak up on you in fiction. TB: Right? Except my divorce didn’t prompt me to… eh, I’ll save the spoilers. MZ: Heheheh. Your last few years have been super full of life, both good and bad. TB: No kidding. That’s one thing I wouldn’t want to change. There have been parts that have sucked all the butts, but “full of life” is a really good description. MZ: Yeah, I don’t want to change my past. It made me who I am, and what I’m capable of today. TB: That’s seen by some as a trite statement, and it can be difficult to see that when in the middle of it, but it’s true. TB: The last part of that statement makes me smile. “I definitely could have fucked up worse,” when said in a positive manner, is a powerful statement. MZ: Well, for example, my very first relationship was everything that storybooks say you should want. And… also controlling, emotionally needy, and a host of other things. If I hadn’t been in that relationship as early in my life as I was, I would have let myself get into similar situations when I wasn’t as equipped to leave them. TB: Yeah, definitely. It just took me… I dunno, six, seven relationships to get to that point? Still. Learning is learning. And that’s worthwhile. MZ: I try to tell young friends and relatives that part of dating is finding out what you can’t deal with, and making the choice not to deal with it. TB: Yeah. 34 year-old me sees that. 17 year-old me wanted to find THE ONE so badly it hurt. And it did. MZ: Yep. I thought I’d be one and done. But once my one was very much not The One, it took a lot of pressure off. TB: Oddly, there are parallels to writing there. Or maybe not oddly. MZ: There are. You put a lot of pressure on yourself the way you did it, (editorial note: Kickstarting a first novel) but I think you probably condensed a lot of learning into it. TB: Now that I’ve gotten my first novel finished and published, I know a lot more about what I want out of my writing. MZ: I kind of wish I’d given myself a bit more pressure at first. My first novel took 10 years (probably part of why it was so overly long) and then I realized I wasn’t good enough to do it right. TB: And yeah, the hubris of “I can totally do this” carried me for a while. And I made it through. Still, that’s definitely a learning experience you had. TB: That’s a true thing. Finishing is one of the most important first lessons to learn. TB: Plotting and outlining. For all that I said I like the idea of pantsing, I feel like I could write stories that are better if I could plan better. It’s hard to get a sense of where you are and how well you’re doing if you can’t keep a sense of the story. MZ: I will admit that someone pointing out that the scene selection screen of a DVD is basically a plot outline helped my brain. TB: That’s definitely a good point. TB: I’ll have to give that a shot. TB: Yeah. “This shot encapsulates the scene” is good thinking, I, uh, think. TB: Yeah, I used a spreadsheet to outline Sveidsdottir. Not sure I knew how to apply it properly, though. So many things to learn. MZ: it depends what you’re doing. When I switch POV it’s nice to know who the POV of each scene is, if it is a talking scene, action scene, word count…. but it doesn’t help for outlining per say Is there anything in particular burning up your brain or that you want to make sure we talk about? TB: The thing I want the most right now is to be a full-time writer. I know it’s going to take a while, and take a lot of different sources of income, but damn do I want it. MZ: Do you have lots of thinky thoughts about diversifying income streams and markets and all that too? TB: SO MANY THINKY THOUGHTS I make RPGs via Kickstarter, do a leetle bit of freelance RPG and fiction work, I have a Patreon for fiction and such, and I want to sell a novel to a traditional publisher. And I have a day job. I want that last part to not be the case. I don’t make enough annually that a novel advance is a small thing, so that’s what I’m hoping swings things closer to Fulltimewriterville. MZ: I like my day job, but I absolutely need a financially stable partner to make both my writing and day job possible. TB: It’s not a silver bullet, but it’ll get me closer. MZ: Yeah. I’m conflicted about full-time writing. Mostly because I’m one of those people that does better with a schedule and can’t be assed to enforce it on myself. TB: I’m conflicted about the viability, financially, but I’m so sure of it personally. MZ: It financially seems so feast and famine. TB: That’s why I’d need to keep things diversified. And, if I got an advance, I’d have to set myself a monthly income. And keep a schedule for writing. Because yeah, day jobs provide structure. There’s actually a place near where I live that’s a shared workspace. MZ: and advances have gotten so much smaller, which is good for earning out… but still. TB: If I were able to write full time, I’d want to head there to work, if possible. MZ: I live in a relatively cheap rural area, but still $5-7k isn’t going to get you much. TB: Right now, that 7k is 1/3 of my yearly salary. Like I said, it’d be a start. MZ: My thought is to have enough products out there that make a small amount on a consistent basis… the little lumps will make more of a difference. TB: Yep. My lovely little lumps. TB: Terribly funny! Is there anything you wanted to make sure you asked me? MZ: Not ask so much as make sure I mentioned. I wanted to tell you that I really admire you, not only for what you’ve done for yourself, but in how you’re always out there supporting others and cheering people on. It makes a big difference to a lot of people, and you should know that. TB: That’s really flattering. Thank you! Damn, now I’m blushing. Mad Scientist Journal is edited by Jeremy Zimmerman and Dawn Vogel. You can read new fiction there every Monday and follow them on Twitter for news. 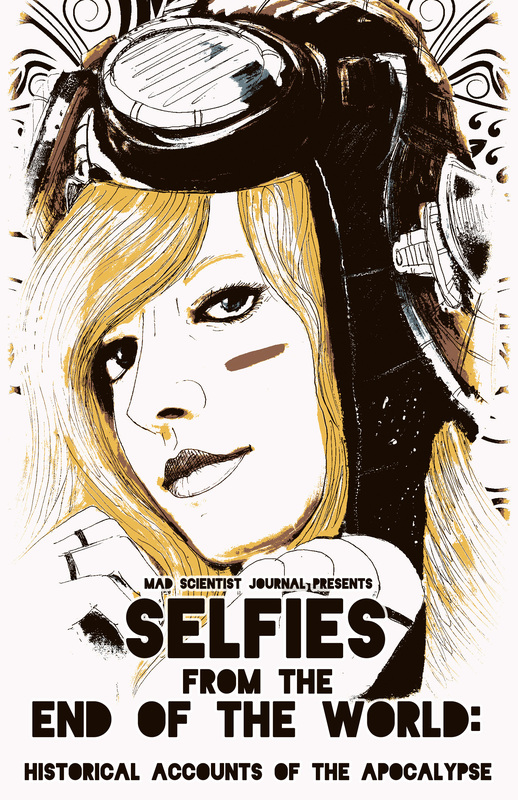 They are currently Kickstarting the anthology SELFIES FROM THE END OF THE WORLD. I messaged Dawn and she was able to fit in a Conversation with me about it. Minerva Zimmerman: I haven’t talked to you in forever! Dawn Vogel: Yeah, it has been a long time! MZ: I think the last time was at the reading for By Faerie Light? Maybe? DV: But you did a fantastic job. I loved the titles they used for everyone. MZ: I appreciated the gender neutral titles and lack of delineating marital status. MZ: I don’t think anyone ever wakes up and is like “You know what I’d like to be called at some point? Matron.” I mean it bothered me enough as a title in World of Warcraft that I’d never use it. DV: Wow, yeah, that would be atrocious! MZ: Well, speaking of crowdfunding… (ooo my transistions are so sneaky) Mad Scientists Journal is running a KS campaign right now. Can you talk a little about what MSJ is and what the campaign is for? DV: So Mad Scientist Journal started out as Jeremy’s crazy idea. He brought me in pretty early on to do the editing, and we’ve been co-editing it since. We publish weekly stories online, all told from a first person perspective of some sort. After about a year and a half, he wanted to do an anthology. That ended up being That Ain’t Right: Historical Accounts of the Miskatonic Valley. We ran a successful Kickstarter for that last February, and the book has been very positively reviewed. We wanted to do another one this year, and came up with Selfies from the End of the World: Historical Accounts of the Apocalypse. The goal of the Kickstarter is to be able to pay the authors for the anthology more than what we normally pay. We fund MSJ out of our own pockets, for the most part, so having crowdfunding is a huge help. MZ: So, it’s first person accounts of the Apocalypse? DV: Yep, the apocalypse, or possibly post-apocalypse if it’s one of those apocalypses that doesn’t wipe out humanity. DV: We’re hoping to reach our funding goal early, but we should be able to open to submissions by the beginning of March at the latest. And then we’re hoping to get all sorts of apocalypses. And not just the traditional ones, like zombies, weather, and plagues. We’re hoping for some really creative ones! MZ: I think there’s a lot of overlap between writers, readers, and those who have read the more mundane scientific journals. Just speaking for myself, my brain grabs on to the weirdest bits of journal articles so it’s nice to see a publication putting out a fiction publication in this same vein. It’s just a great jumping off point for a publication. DV: I do the same thing with random bits of history. I think that’s part of the reason Jeremy knew I’d go for him putting “historical accounts” in the titles of the anthologies. MZ: I think it also helps people think about jumping into a fully formed world mid-stream, which is a good indicator for good genre fiction. I think when you’re first starting out as a writer you think about building the world one word at a time, and when you get more experienced you realize you have to indicate that the world existed before the story started and continues even though no one is reading it. A world has to have history for the present to have context, even in fiction. DV: Yep. The amount of work you can put into that as a writer can be really staggering. MZ: and 99% never ends up on the page 🙂 It can be maddening! MZ: So you’re not just an editor and publisher, you’re also a writer. What have you been up to? Working on anything right now? DV: I’ve been working on short stories since December. Just finished one, and have three more that I’m trying to get done soon. And I’m working on plotting out a big fantasy novel that I want to write this spring. I’ve got a pretty ambitious schedule lined up for this year. MZ: Is it just me or does 2015 seem kind of intimidating writing career wise? Like, writing seemed simpler in the past and now things have to be more ambitious. DV: Yeah, there is a little bit of that. I think I’ve read so many articles about writing that I’m now just in this mode of “WRITE until your hands fall off.” I’m actually making myself get in writing time 5 days a week since the beginning of the year. MZ: Wow! Is that going well? DV: It’s better some days than others. 🙂 But it is definitely helping me get things done. Which makes sense, really. MZ: Yeah, I don’t have a very big daily goal, and I don’t write every day, but I try to average 500 words a day over 30 days. Slow but steady. DV: That’s the way to do it. I haven’t given myself a word count goal, because I’m often writing one thing and revising something else, or polishing up those last little details on another story. But I sit down each week with what I’m trying to get done, and try to get as much of that accomplished as is actually possible. Sometimes my dream goals are a bit bigger than reality. MZ: I think that’s a feature, not a bug. 🙂 If we catch up with our dreams too often it gets weird. DV: Yeah, but it is nice to check off all of the ticky boxes on a to do list every once in a while. And then it’s on to the next list, for me, at least. DV: Yep. I have my ticky boxes for the doable stuff, and then my spreadsheets for the big picture. And it’s all color coded because I’m a huge dork like that. MZ: also colors make stuff prettier to look at which helps when you’re supposed to stare at it a lot. I’m in the process of making an over-arching organization system to my whole life, work, writing, and home. So I’m way big into color coordinating and otherwise making stuff easier for myself right now. It is slow though. DV: Yeah. It’s nice, though, when you get a good system that works into place. Everything gets SO much easier. DV: Yeah, I think that is a really helpful thing. MZ: Is there anything else you want to talk about? DV: I was going to ask you what writing projects you’ve got in the works. MZ: Well, my main project at the moment is a Rural Fantasy novel about a middle aged Norse Chaos Mage who ends up in charge of her small mountain town’s magical protection and preventing the end of the world and she’s not happy about it. DV: That sounds like fun! I’d love to read it when it’s done! MZ: I will be looking for Beta Readers in a few months, Gods willing and the creek don’t rise. DV: I should be available after April! MZ: Excellent! I will be sure to drop you a line when I get a workable full draft. MZ: Thank you so much. I really appreciate you taking time out of your day to talk to me about this. DV: Thanks for having me! Nathan is directly responsible for my finally knuckling down and submitting stories. Turns out you actually have to do that if you want to get published (weird, I know…). I ran into him at a reading thirteen years or so after we’d both worked the same service job and gamed together. After his reading he mentioned was seeking submissions for an anthology and since I knew he actually gets my wacked out sense of humor, I felt comfortable sending him a story where I destroyed the world with tiny unicorns. And then I kept submitting… and that’s how babby, I mean books get made. Minerva Zimmerman: How are things? Nathan Crowder: Good! Feels like the calm between storms, but I’ll take it. how are things down your way? MZ: A little drizzly with a side of weird. NC: Yeah…this weather. It was 60 the last few days. My co-worker thinks it’s the end times. We got a weather station attached to the house after christmas, so I’ve been linking my house weather to people on the East Coast. MZ: No one was fooled that I was just showing off our spiffy weather station. NC: I’ll be honest, I see the blizzard on the news and I feel a little cheated. NC: no. Most likely, no. How are things at the Museum that is Almost Certainly Haunted? NC: All museums are haunted. This is known. MZ: It is pretty gosh darn scary to be there in the dark, by yourself. but not haunted. NC:I remain skeptical, but you’re the expert on the place. But if I come to visit, I’m totally bringing my pendulum and ghost hunting gear. You working on anything fun these days? NC: You’ve mentioned the Rural Fantasy idea to me before, I think. I love it! MZ: Yeah, I’m having a lot of fun with it. It’s set up in the mountains near Snoqualmie Pass. NC: Have you zeroed in on a likely length yet? MZ: Eh, probably less than 90k it moves pretty quick, but I have a few scenes I need to go back in fill in. What are you working on? NC: Excellent! Best of luck wrapping it up! I just finished edits on a pulp sci-fi novel I need to get sent out, and deciding if I want to do edits on something else or get back to writing the next epic fantasy novel. MZ: Ooo, I didn’t know you’d gotten into writing epic fantasy. NC: Yeah! I have this triptych. The first one is done, called Of Rooks and Ravens. About a young academic forced to flee the destruction of her college and home town who throws her lot in with a crusty tactics professor / probable spy. MZ: Oh cool! Is it out, or are you shopping it? NC: I will be shopping it. NC: The idea is to tell about the fall and rescue of this city from the POV of 3 different groups of heroes. Each has their own part to tell. MZ: I love that technique of storytelling! NC: And in a perfect world, the 3 covers will form one complete picture. assuming, of course, that someone publishes it. MZ: Oooo, well, it sounds like a great project. NC: I’m excited about it. Early word from beta readers is very positive. MZ: I wish you good hunting with it. MZ: I read your Fringe Candy entry for today, sounds like you’re about doomed with a new specialty candy store. NC: My one hope for rescue is that their hours seem, at best, random. NC: Absolutely. And the fact that the candy is also mysterious…it’s the kind of shop you’d buy a Djinni lamp in if it were a Harlan Ellison story. NC: Like, I KNOW candy. A good 80% of the stuff there? Never heard if it. Chances of me getting cursed or selling my soul for rare, Fringe Candy is kind of astronomical right now. MZ: What else has been burning up your brain of late? Any new horrors creeping up your spine? NC: I need to do a few more Fringe Candy posts before I go all Agustus Gloop. Ooo new horrors! My last few horror pieces are also kind of fringe. Like, is it supernatural or is there something else going on? They’re the stories I want to tell, about young women turned into pop culture princesses to be sacrificed to benefit the industry, or a brutal revenge piece about pageant princesses that takes place entirely during a small town parade. Most of my horror lately is informed by horrors I’m seeing in the real world, how we treat each other in this culture, what we value. And I try to exorcise that in my fiction. NC: It’s hard to confront. Sometimes hard to read. “Hell is a Parade” might be the meanest story I’ve ever written. And I kind of love it for that. MZ: I worry more about people who never write that kind of thing. NC: same. Bottle it up and you’re bound to go nutty. MZ: Yeah, horror writers are the nicest people you could ever meet. It’s kind of odd. NC: we have a great understanding of just how BAD things can go. It recalibrates our expectations. MZ: …no that’s a Thursday only thing. Is there anything you want to make sure we talk about?